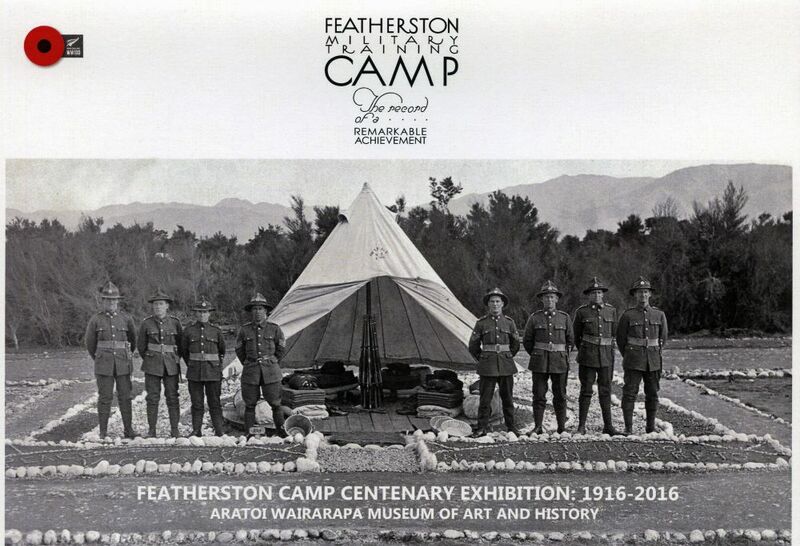 This is a major exhibition telling the story of Featherston Camp in World War One – New Zealand’s largest training camp. In planning for over a year, this is the third World War One exhibition that Aratoi and Wairarapa Archive have combined to produce. Featherston Camp, along with Tauherenikau and Papawai camps, formed a huge training complex in the south Wairarapa, with over 60,000 taking part in preparing for service on the Western Front and in the Palestine Campaign. The exhibition will open on 22 January 2016 (100 years after the camp opened) and will be in place until 31 July. Occupy the main gallery and windows gallery. It will highlight the camp’s planning and building, daily life and training, the Rimutaka march and something of the soldiers’ destination – the battlefields of Belgium and France, and Palestine. Featherston Military Training Camp will offer the public and schools a detailed look at Wairarapa’s history in the Great War.